I do not know why some accounts are held up like this. I'm not seeing anything in particular wrong with your account. Here's the Help page on what may delay a disbursement, and I encourage all affected to see if any of this applies to you. If you still have issues, and mistycat seems to be one, please contact Etsy Support and we'll do our best to figure it out and get you your funds as quickly as possible. Thanks! One of the readers who contacted us about the issue provided links to several discussion board threads and summarized the problem as follows: "I am involved in a scary Etsy issue that you might find interesting to cover. Etsy is saying it is a bug, but they are withholding daily payments to Etsy sellers for long amounts of time, 10 days to 1 month documented so far domestically." "I have reported this problem to Etsy, which I have had since November 14, when I was switched to the new payment program." The seller said they have had Etsy admins review their account with no solution. "One admin did admit that there is nothing wrong with my account, and that this is an Etsy bug. This is a serious issue for a number of Etsy sellers. Two posts by an Etsy seller also help explain the problem. This post is from November 26th, and this is an update from November 28th, where the seller says he is still experiencing the problem. Let us know if you're one of the sellers affected and how it's impacting you. Update 12/6/2018: Sellers are sending us links to this thread on the Etsy boards. In an open letter to Etsy CEO Josh Silverman, a seller says the problem as yet to be resolved in his case. Sad and frustrating is she DOES understand the new system, but Etsy just keeps replying with the same vague un-helpful canned response. (She's in France, so isn't eligible for a phone call). It's truly scary that, that much money could be taken from your account, and there's no way to get Etsy to listen. Yes, I am a seller seeing significant delays in seller payments. I have emailed admins, tweeted to Etsy help, and to Etsy leadership, and I have reached out to media outlets. This is a ridiculous and unacceptable way to conduct business, telling sellers that they know there is a problem and then making them WAIT to be paid. Those who believe they are not getting paid according to the terms of a marketplace or payments service should consider contacting their state regulators and/or attorneys general, or the equivalent in a foreign country. Payment services are heavily regulated and must follow the law. And sellers certainly deserve answers. Etsys change to taking all of their payments up front instead of monthly as they had been doing is many times the indicator that a company is having cash flow problems. This now also occurring also leads more credence to that rumor / theory. Etsy has been growing in leaps and bounds and had been praised under the old CEO for not following the same problematic path that Ebay had started under Donohoe. But the new CEO was old Ebay blood and suddenly seems to be following the same path as Ebay has. Ebay had a nice offshore stash of cash before Wenig took over and that is now down about $5 billion in the last 3 years. Etsy did not have that stash but has been drastically raising fees and now taking fees up front in what appears to be an effort to stay afloat. The fact they will not respond to what is happening to the Sellers money is just another tactic learned from Ebay and leads to more speculation that they are in dire straits financially and are now grasping at straws to stay in business. Messing with your sellers money is the last thing you want to be accused of let alone be caught doing, so Etsy better get it straight quickly or they may be in for many more issues than they currently are in. Silver Ice King- I think you're on to something. I have never seen anything quite like Etsy's latest cash grab that now borders on outright theft. A publicly traded corporation like Etsy is VERY highly regulated and could face stiff criminal penalties for this behavior which is what many would call highway robbery. I think they have major cash problems or just holding and playing with the books to make the 4th quarter look better. A computer glitch should not be happening to a ''tech'' company. Doesn't matter, they are in trouble regardless of the problem. See if anyone higher up is unloading some stock. we have been in business well over 35 years , and never seen theft like this until the new tech thieves came into play. it's so easy to steel your money because they are hidden , and you can never get a response from someone in a hidden closet taking your money. we never had a cash flow problem in over 35 years until places like etsy and ebay came online. their arrogance and ease of theft is the ultimate in corruption. and they get away with it with ease. I receive my Etsy disbursements, if any, on Monday afternoons. Had a sale Sunday night and printed the label at 5:15 a.m. MST Monday. The label cost was immediately taken from my amount to be disbursed but the sale proceeds (which included the label cost) were moved to the following Monday. A very poor practice but I realize they probably do not care. I too was experiencing this on one of my accounts. I would request sooner deposit, it would say it was scheduled for the next day, but when the next day got here it would again say the following Monday. Then Monday would roll around and it would be set for the next Monday. My debit card had expired that was tied to my automatic bill pay. Although I did not owe any fees, I updated the card anyway. I received my automatic payment after at least 2 weeks. Possibly coincidental but worth looking at. Yes, always states funds will be deposited the next business day...day after day after day! It just gets worse by the day!!! This new ''simpler finances' is ONLY for Etsy's benefit. They are getting their fees even before the actual cha-thing hits your phone - it's not surprising they don't seem to care where sellers' money is going. He's not in the US, which I guess is lucky for Etsy - a US seller would have probably sued and had fines and sanctions set against Etsy by now - I know I would!! President & CEO at ETSY INC, Josh Silverman made $21,190,460 in total compensation - why should he care whether sellers are actually being paid? This is a terrible situation! ny sellers are experiencing this issue and radio silence from Etsy is unacceptable! 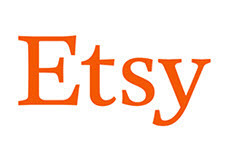 Sellers are being ignored, Etsy employees closing threads to hide the problems and their treatment of shop owners is appalling..
Etsy needs to hire an entire customer service department to take responsibility, to admit the problems and fix all the bugs. This situation needs an update, and of course, a speedy resolution.